Between Lysa’s The Best Yes and Dr. Henry Cloud’s Necessary Endings, (which could easily be called The Best No) I’ve recently been brought face to face with the fact that I still experience fallout from my past. My first marriage experienced nuclear meltdown more than seven years ago. I still fall into some of the old unhealthy behaviors I adopted as coping mechanisms during the decade or so before the disintegration of that relationship. Why, Lord, is this still my default when those days are far behind me? Here’s how it used to be: If I knew that he was on a binge again, I dreaded going home to play the waiting game. (If you’ve ever loved a chemically dependent binge-er, you can identify.) The ache of wanting him to come safely home so I could kill him myself (or at least wring his wiry little neck) always seemed worse when there was nothing to do but sit there and wait. That all-night, all-the-next-day waiting was the worst, creating a toxic concoction of hope and dread that birthed stomach ulcers that bled and burned for days. Should I make dinner? Call the police? Stay here waiting, or go looking for him? NIGHTMARE. I hated every minute of that desperate waiting, so I created a coping mechanism. Work. After work, I worked – staying in my classroom until long after everyone else had gone home, made dinner and watched American Idol. I made lesson plans for weeks in advance. Sharpened pencils. Alphabetized scented markers. Rearranged desks; anything to keep my hands busy and my mind semi-occupied until enough hours passed that I could go home too exhausted to lay awake and wait. Work worked for a while. Years even. 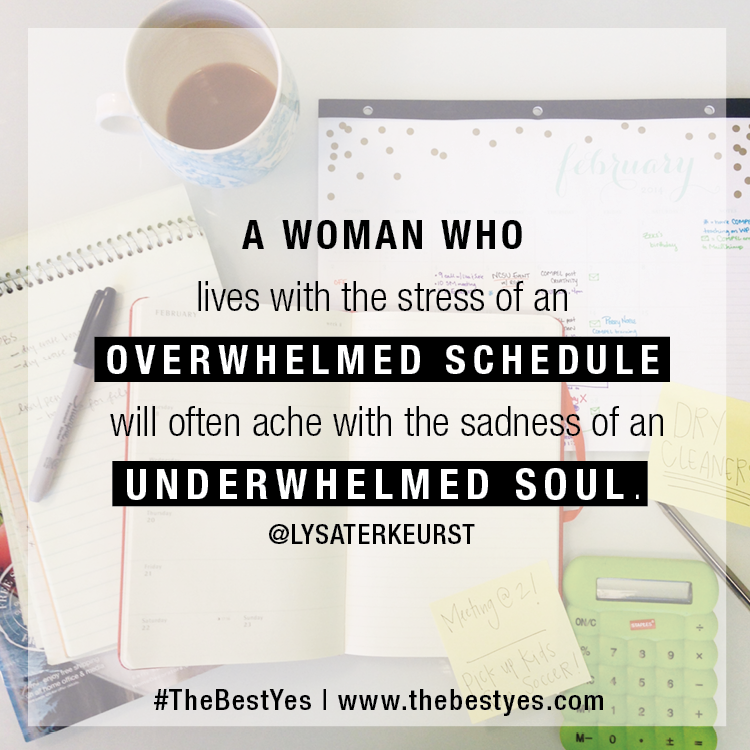 Eventually my underwhelmed soul created such an overwhelmed schedule that I became a workaholic. Even during those “clean” months between his rehabs, I continued my addiction to work. More evenings than I can count, when he was home, sitting on the sofa with the TV remote in hand, I was still at school. His sickness had infected me, infected our marriage, our lives. No, I didn’t binge on cocaine. But I did numb the drug’s side effects with busyness. It was hard to decide what to leave undone. Difficult to have chaos anywhere in my physical world because my emotional world was out of control. I was aching for normalcy, so I created it where I could. I stayed in that groove for a long time. And grooves were formed in my brain. Pathways and patterns and habits that have not broken easily. Lord, I have to do something differently. I cannot continue to live like this. I prayed that prayer just before Valentine’s Day as I came out of the valley of indecision and made a decision to stay with a friend when he didn’t come come and wouldn’t answer my calls. Again. I still work. Still say, “Yes” to time consuming projects that don’t fit my long-term goals. I still over organize and over analyze and over do. If tendrils of painful emotions need to be numbed – I work. If I’m not sure what tomorrow will bring, I overwork tonight. I’m a binge-worker. My overwhelmed schedule is often created by none other than moi, me, myself! So, thanks to Lysa, I’m prayerfully looking for my “best yes.” Thanks to Dr. Henry, I’m deciding what areas of my life need “necessary endings.” I’m positive workaholism is one. I certainly don’t need the “underwhelmed soul” that comes from overdoing it. Been there. Done that. I have a feeling I’m not the only one who struggles with repeating patterns from the past that need to be broken in Jesus’ name. What’s going on with you? Do you need to say “no” to a few things? Do you need to say “yes” to a new way of thinking? A new way of doing? May I invite you to pray this prayer with me? Father, I believe You deserve my best yes. You know the plans You have for me. Please direct my path, moment by moment. If I am numbing with busyness, show me where the hurt is and help me to trust You to heal it. If I am hiding in work or accomplishments, let me hide in You. If I need to end a harmful habit or a relationship, please give me the courage to let it go. I trust You. You invite me to rest, not to strive. I choose to rest in You. Amen. P.S. You are cordially invited to FOLLOW my blog. It’s a Win/Win deal: You’ll receive an email each time I make a post. I’ll receive one more awesome person to support me and pray for my journey toward publication. She Was Kind. She Was Smart. She Was Important. “We are gathered here today to remember our dear friend, Eula…” My husband stands before a crowded congregation in his best black suit. A Kleenex box makes its way down the aisle behind me as reality strikes a somber chord with another family member. An hour later, I am not the only one smiling through tears as Eula’s positive impact on our loosely knit community is realized. One after another, folks stand up to share fond memories of the thin woman with the longest, strongest hugs. Bear hugs. Sneak-up-behind-and-scare-you hugs. Neck hugs. Squeeze-the-daylights-out-of-you hugs. Messy hugs that mussed our hair and rearranged our breakfasts. Over and over, we hear similar words from people of all ages and walks of life. She was no respecter of persons. Her hugs were freely given to all, with no expectation of anything in return. Eula was a simple woman. A childhood fall from a tree house affected her for life. That didn’t stop her love or lesson her impact. What she could do, she did with all her might. She could smile. She could hug. She could remember who was absent from church for a week or two and make it a point to ask them about it and let them know they were missed. My Honey and I limped home after that service, our toes smarting from being stepped on by a woman who took her last step (and her last breath) last Monday. What if we were all a little more like Eula, taking time to notice one another? Taking time to hug a person, to miss someone when they aren’t around, and to let them know that we missed them? Each of us leaves a footprint on this planet. We leave footprints on the lives around us. Are we stomping through life with cleats on, leaving scars on the turf of someone’s spirit? Are we zipping around so fast in our running shoes that we don’t have time to pause for the people around us? Are we high-heeling our way through our days, walking too tall to stoop into someone else’s valley? 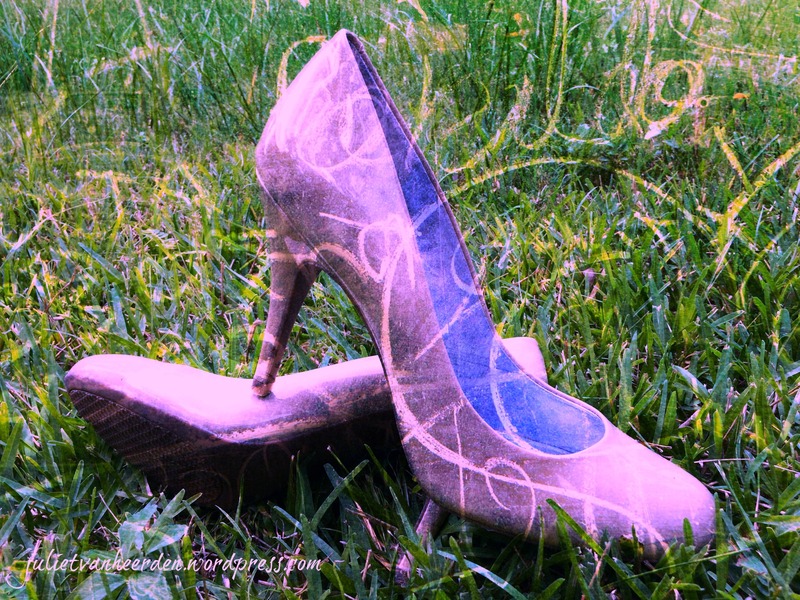 Eula was a penny loafer Christian – sturdy, practical, dependable. She made each one feel as if we were the only one. She was never too busy, too preoccupied, too self-absorbed or too needy to notice someone else. You could find her anywhere. Or she would find you. And hug you. And miss you. And let you know you were important. I’m going to miss Eula. But I know that I will see her again. I will hug her in heaven. If I’m not there, she will wonder why. She will miss me. Jesus, let it not be because I was too busy to love. Yesterday would have been my twentieth wedding anniversary. Yeah, if I had stayed married to the first man I vowed to love, honor and cherish until death. I sat on the front pew of our church and thought about that as my husband of four years preached his guts out. I’m an avid note taker. Usually I can be found with composition book and pen during any sermon or lecture. Yesterday was no exception. I flipped the page and wrote the date just as my Honey started preaching. “August 9, 2014.” My brain did a double take. August nine? Wow! Has it really been twenty years? “And whoever does not bear his cross and come after me cannot be my disciple.” (Luke 14:22 NKJV) The words came loud and clear through our church’s sound system, pulling me back to the sermon. For several minutes my thoughts hopscotched between present and past. I bore the cross of confusion when my innocent dreams were shattered. I bore the cross of shame when I thought ours was the only family in church suffering the effects of drug addiction. I bore the cross of guilt when I enabled and rescued my spouse. I bore the cross of sorrow when he chose a different kind of life with a different kind of wife. “We’re expecting supernatural results from physical investments,” he continued. It’s true, Lord. We often are. I used to think if I loved harder, my addicted husband would change. I thought that counseling, Narcotics Anonymous, and church would heal him. Nothing worked. Moving to a new city didn’t work. Controlling every penny failed. Screaming never solved anything. Neither did threatening, crying or cajoling. Spot on Emily! The key words are “born again.” I needed to be born again. Again and again. Still do. 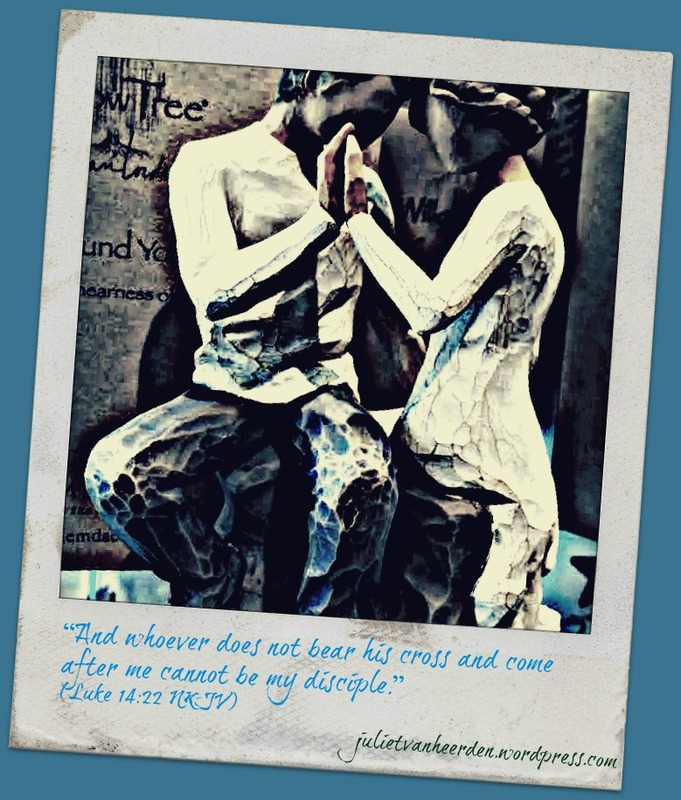 Every single day, I needed to follow the insight I’ve discovered under Vincent’s Word Studies on Bible Hub: Luke 14:27 http://biblehub.com/commentaries/vws/luke/14.htm “And whosoever doth not bear his cross, and come after me, cannot be my disciple. That cross-bearing is the secret to dwelling in the secret place of the Most High. See, I was all the time busy trying to bear someone else’s cross. I wanted so badly to fix my ex I was even standing in the way of God sometimes. He also needed to be born again. Again and again. I could not do that for him. Only Jesus could. All these years later, those tendencies still tend to crop up in my life. My sinful default? I want to fix, help, do, rather than bring a person before the throne of grace in prayer, rather than battle for them on my knees in the spiritual realm. I talk too much. I pray too little. So, going back to Dr. Henry Cloud’s premise that the best predictor of the future is the past, I want to say this; if I had taken time to thoroughly review the past of the person I married twenty years ago, I may not have taken those vows. Yes, people can do better than their pasts. Yes, God redeems, restores and heals. Yes, there is hope for brighter futures. Observing my preacher man on the platform yesterday, I thought about our history together. I’ve known my husband for six years. I really, really know him. I trust him. Before I married him, I did my homework. He had a pretty rotten past, with a long, long history of broken hearts in his wake. I should have been terrified. But I wasn’t. Know why? He had experienced the big change. The Holy Spirit, born again change. There was evidence of that in his life. I trusted that evidence. I’ve never looked back. God redeems the things we thought were lost. What has the performance been so far? Is there anything in place that would make it different? If not, am I willing to sign up for more of the same? Are you that young woman about to make some big promises without having done your homework? Are you feeling stuck in a relationship that keeps giving you more of the wrong kind of same? Are you on the other side of failed vows, trying to figure out what went wrong and promising not to make the same mistakes again? Wherever you are, may I pray for you? Father in heaven, thank You for redeeming the things I thought were lost in my life. Thank You for giving me hope that I can share with others. I pray for the readers of this post. They are here for a reason. Please send Your Spirit to reveal to them how to take the next step of life in a way that doesn’t bring them more of the same pain. Reveal the truth of their past and heal their present situation. Thank You for truth that we can trust. In Jesus’ name, amen. Sometimes I sing along. I can’t help myself. When an ‘80s hair band blares over my YMCA’s loudspeakers, my elliptical machine’s heart rate monitor notes an increase. My aching legs climb those fake hills a little faster. This morning I happened to hit senior citizen hour at the Y. No one else appeared to mouth the lyrics as Pandora took us back in time. They obviously were not high schoolers in 1986, when our days began with Bon Jovi and Aqua Net hairspray. The phrase repeated over and over as my legs pumped faster. Faster, faster faster! Do we, Lord? Do we give LOVE a bad name? Do I? 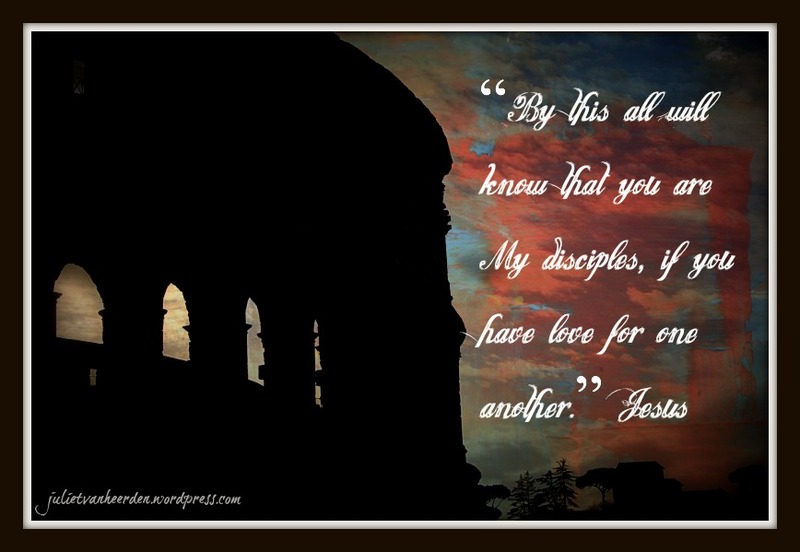 John the apostle tells me if I don’t love, I don’t know God. Jon the ’80s hair band singer says it’s possible for a person to give love a bad name. 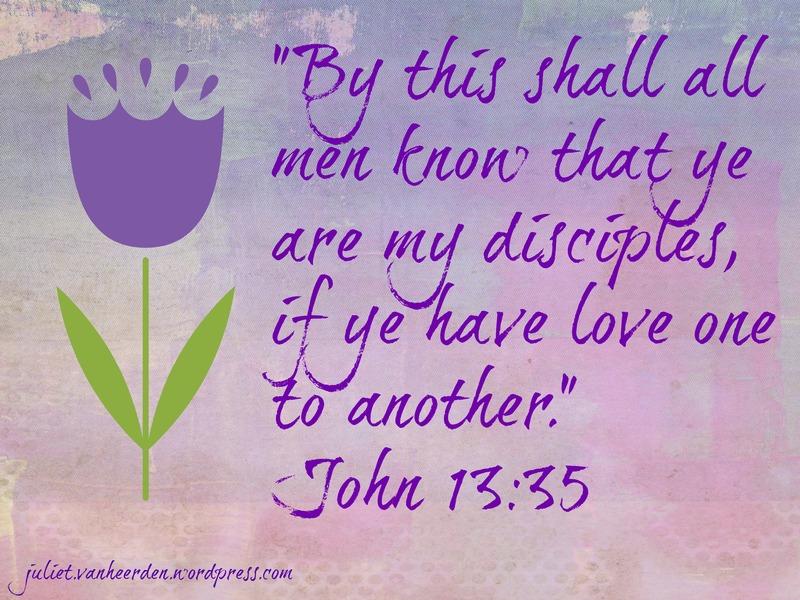 If I am a follower of Jesus Christ, I am commanded to love. If I am unloving (to my spouse, my kids, my neighbor, my church member, myself), something is wrong. If I’m just playing a game, somebody’s gonna see through my facade. If I’m the one giving LOVE a bad name, it’s time to connect to the Vine. Love is the litmus test. Let’s not give it a bad rap.